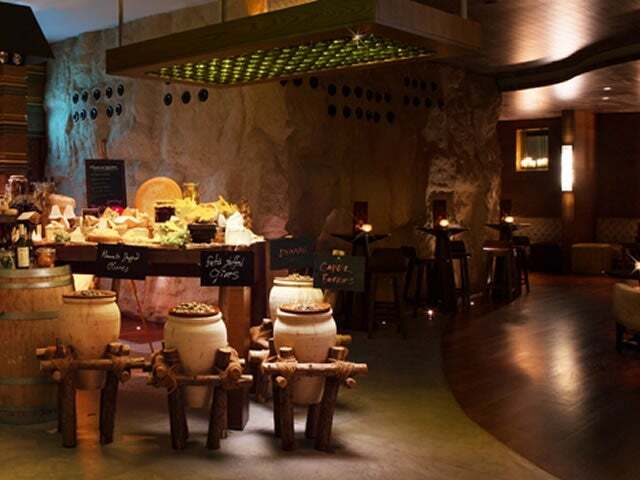 Cave is a Dubai haunt for lovers of fine French wine. 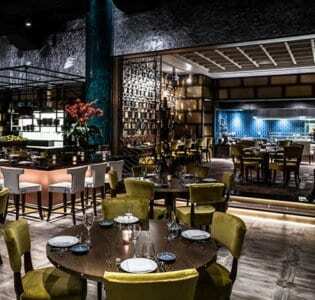 Deep in the custom-built stone cellars of Conrad Dubai, you’ll find this bijou nightspot with a pronounced French accent. Cosy daybeds and polished wooden floors make it a retreat with a distinctively European feel, serving up fine wines to a sophisticated international crowd. 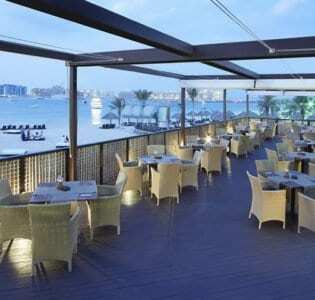 Its studied francophone style also extends from the substantial wine list of fine vintages, to the menu’s array of hearty delights, including foie gras, beef tartare, and even snails in herb butter. For a romantic tete-a-tete, there’s also the opportunity to tuck into a steaming pot of Savoyarde fondue to share. The cocktail list – or mélanges alcoolisés, as the menu terms them in true Gallic style – takes in a crowd-pleasing array of classic favourites, tailored to each guest’s palette. The ‘Bloody Collection’ includes the Bloody Mary, Bloody Maria, and Red Snapper – and each tomato-based tipple can be enjoyed at flavour levels from mild to very spicy. And for classic cocktail lovers, there’s a select list of favourites, including a Hemingway Daiquiri and a refreshing Mint Julep. Cave also capitalises on its substantial wine cellar by offering a range of champagne cocktails, kirs, and even sangria.